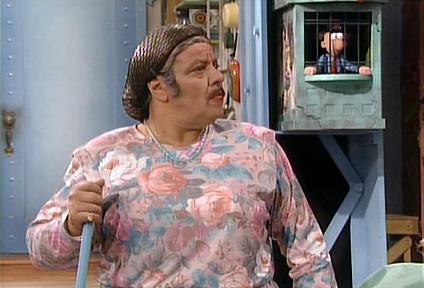 Have Fans Found Who Mario’s Dad is? 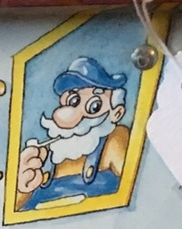 Recently on Reddit, a Mario tin tray was found showing Mario in what appeared to be his house. 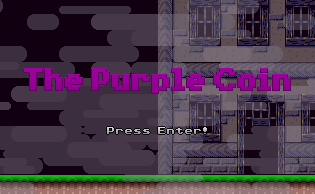 But while the scene itself looked quite cool as it is, it’s not Mario or Bowser that’s the interesting thing. Oh no, it’s the painting on the wall. It’s a neat find. But does it really show Mario’s father? Have we really got a good look at Mario’s dad? Well, possibly. You see, we never really get many other good pictures of Mario’s dad in other forms of media. Which mostly matches the new depiction. He’s a middle aged guy wearing yellow and blue clothing who resembles Mario. Yeah, it’s likely an alternate universe version (this Super Mario Amada story can’t be in any ‘canon’ with the rest of the series), but it’s a consistent portrayal none the less. There’s also a picture of Mario’s dad in a comic. This comic (part of Nintendo Comic’s System) shows Mario’s dad in an issue called Family Album: The Early Years. 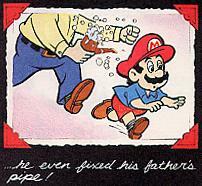 Here you can see him chasing Mario, likely due to the latter putting soap in his dad’s cigar! And again, the portrayal most matches up. The dad here has mostly the same build, and is shown looking a bit like the merchandise and Amada versions, sans overalls. 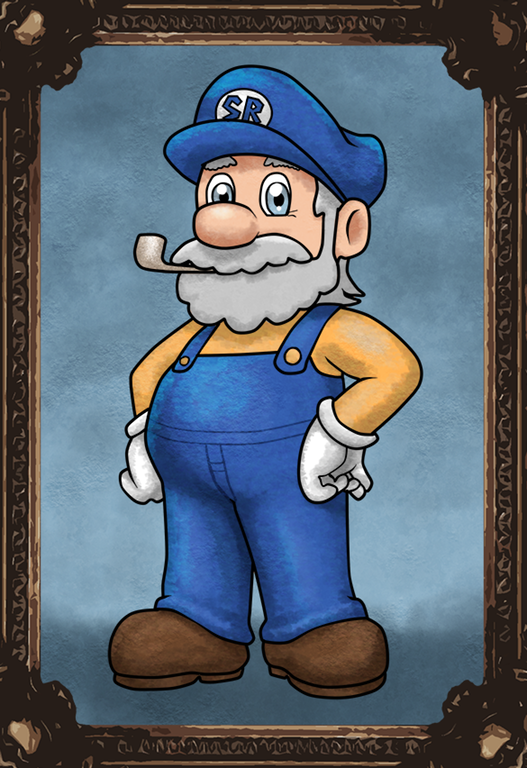 Which then brings us to the last known versions of Mario’s father. Namely, the one shown in the Yoshi’s Island series. 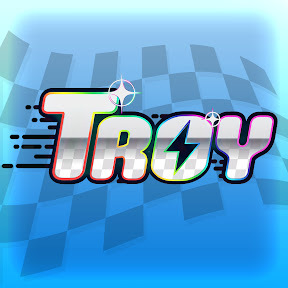 No, not the original game version. That one was proven irrelevant once Yoshi’s New Island came out. Because you know, the stork brought the babies to the wrong house. 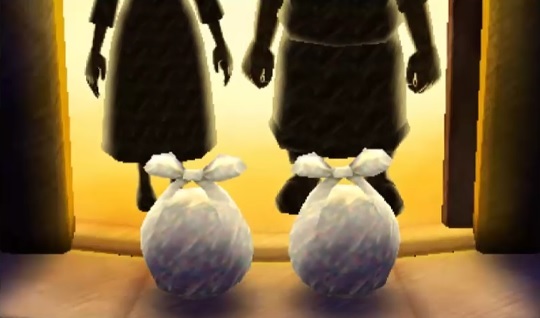 And as you can see, the images of Mario’s parents match the earlier ones pretty well. You’ve got a fairly tall, heavyset guy who looks like he could be the same as in the early pictures, albeit wearing nightwear and only shown in poor lighting conditions. So yeah, it checks out. Mario’s dad appears pretty consistently in all media studied so far. But what about his other appearances, you may ask? Well, what appearances? There’s a Super Mario Amada film where Mario is brought up by two Hammer Bros. Which you can’t exactly count for obvious reasons. And that’s about it really. Mario’s House is shown in Super Mario RPG and the first three Paper Mario games, but the only pictures there are of Peach and the partners. The one in Superstar Saga again only shows Princess Peach. And the one in DDR Mario Mix? Well, we don’t even see the interior of it, let alone any pictures or family memorabilia found there. Hence based on what’s been seen so far, I’m gonna say this picture really does show Mario’s father. Nothing here clashes with earlier depictions of the character, and with few other shots of his face, it seems like we can’t investigate much further. 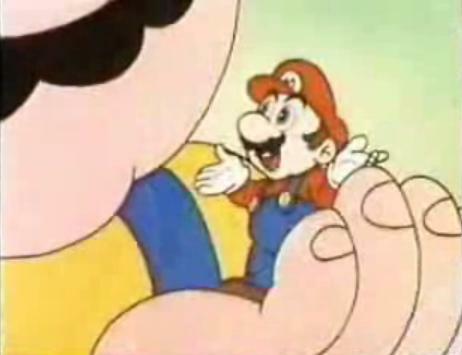 So yeah, that’s Mario’s dad. But what do you think of this? Does he look like how you’d expect him to look? I could be wrong, but wasn't one of Mario's colors yellow and blue? Like before he was red? If that's the case, then whatever that game could've starred Mario's father like how the original Donkey Kong is Cranky his son was DK Jr and his son is the Donkey Kong now.